Mikhail Lakirovich was born and raised in Russia and has been living in the USA since 1999. Mikhail graduated with highest honors from DePaul University, where he was a Presidential Scholarship recipient, with a double major in Accounting and Finance. After graduating DePaul, he joined PricewaterhouseCoopers as a tax associate in the Financial Services Group. During his 2 years at PwC, Mikhail worked with a number of clients on a variety of projects, while simultaneously studying for and passing his CPA examination. After 2 years at PwC, he joined Abbott Laboratories as a transfer pricing analyst, where he developed an interested in healthcare and decided to transition to marketing. 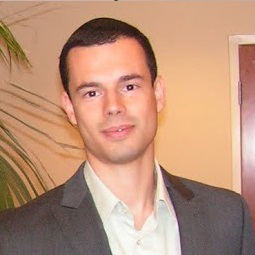 Mikhail was offered a Marketing Fellowship to attend Chicago Booth, which he graduated with honors in June 2013. Following graduation, Mikhail has joined Baxter as a marketing manager. On a personal note, Mikhail loves to travel and is always open to suggestions for new and exciting places to visit and foods to sample.